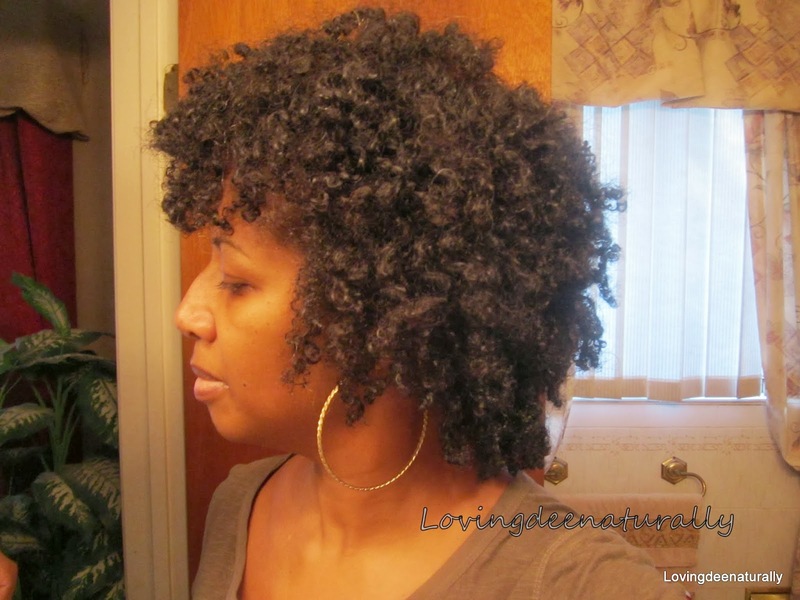 Loving Dee Naturally : Protective Style Challenge Month 1 Update ""
Hello everyone!! I am overdue for a blog post. Although I've been kind of absent from my blog I have been active on Instagram, Facebook and Youtube and you can follow me on those sites and see additional pictures and status updates as well. I love "meeting" other naturals on their videos and fb pages, IG pictures and blogs and that has taken much of my time but I want to continue to document my journey here on my blog. As you know from my last blog post I am participating in a protective style challenge in the low manipulation category. 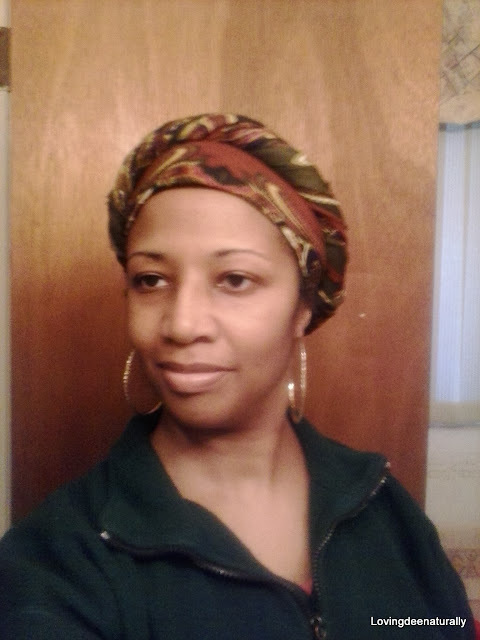 My goal is to style my hair in low manipulation styles and head wraps. I'm also using castor oil on my scalp for my Castor Oil Challenge and wearing a plastic cap overnight for my GHE Challenge. I felt this first month in this challenge went pretty well for me. 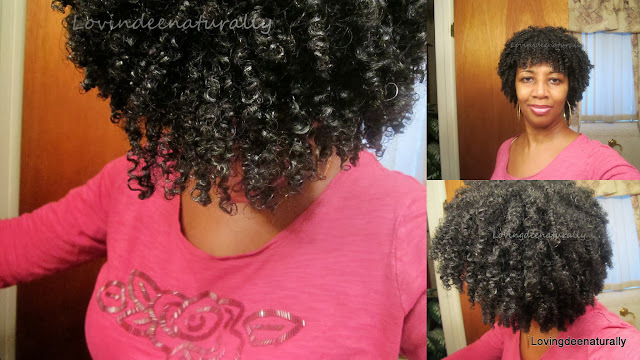 The first 2 weeks of this challenge I styled my curls using the Tightly Curly Method and my hair lasted for 14 days with the combination of all 3 challenges. The second 2 week stretch started off like this. I did a wash and go, using my regular smoothing of the conditioner in sections. I did not do TC method on this second 2 week stretch. This ended up being the LOC method. As the weeks progressed and by the end of 2 weeks, my hair was feeling a little rough and not at all soft and moisturized like it did the first 2 weeks. When I took out my bands I saw a few broken hairs on my bathroom sink and I had to contain my internal hysteria! LOL!! I knew that I couldn't continue to allow my hair to go 2 weeks at a time so I've decided to either go back to doing my hair once a week and dc'ing every week or I will have to remoisturized during the week if I go longer than my normal 5-7 days. 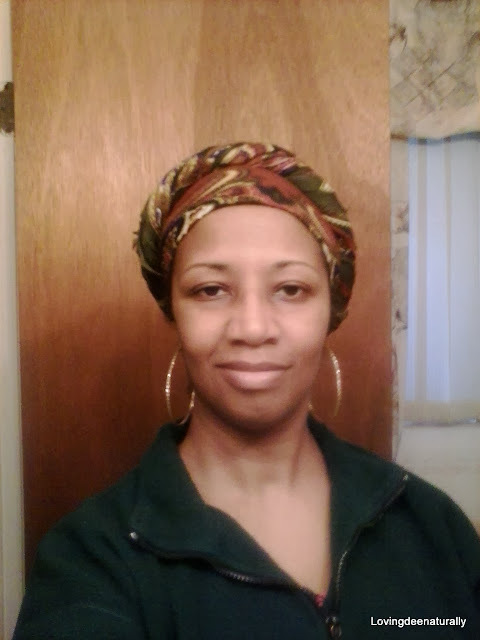 Another thing I noticed is that when my hair was covered and wrapped up under my wraps and nighttime bonnets it became easy to just wrap my hair and go. I believe I became lazy in my haircare and I should have re-moisturized my hair when I felt it begin to get dry and rough. I don't usually re-moisturize my wash and gos during the week. I can go 5-7 days and my hair is fine. Yes, by day 7 it is needing a fresh cleanse/water and it gets it when I follow a "weekly" regimen. It became so "easy" to just wrap it up and go and I was determined to go 2 weeks. Well, I learned my lesson that day for sure! Another difference in the second 2 week and the first 2 weeks was the fact that with the TC method each curl and each strand is saturated and moisture is sealed with my oil/butter/conditioner; not so with just applying conditioner using my regular method(just smoothing and light raking conditioner through hair). My hair seems to hold moisture much better with the TC method. But I don't think I'm going to be doing TC method every week b/c it is such a time intensive process. All in all I think this first month went well. I am enjoying this process and journey and look forward to month 2. Month 2 is where we Rock our Regimen. Month 2 is the month I will highlight our regimen in how we maintain and keep our hair moisturized during this challenge. Stay tuned...!!! !